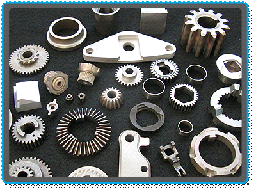 What is Powder metallurgy ? 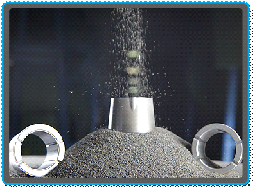 Powder metallurgy (Powder metallurgy), is a kind of metal powder as raw material, pressed and sintered into a variety of products processing methods. The powder metallurgy process consists of three main steps. First, the main constituent material is decomposed into a number of fine particles. The powder is then charged into the mold cavity and subjected to a certain pressure to form a powder having the desired part shape and Size of the compact; finally, the compact for sintering. Powder metallurgy parts production process of the essential advantages, with the final shape forming capacity and material utilization is high. Although all the metal can be made of powder, but in practical and economic considerations, often used for this purpose are iron and copper. Among them, brass (copper and zinc alloy) and iron for the manufacture of various parts, bronze is commonly used in the manufacture of porous bearings. Due to the physical and chemical properties of the metal, the method of making the powder is also different, the resulting particle size, shape is not the same. Before the powder is fed into the mold, the powder must be carefully selected so that the product can meet the economic requirements and, after compaction, the desired properties can be obtained. When using only one powder, as long as the particle size and distribution of appropriate, can be sent into the mold pressure forming. 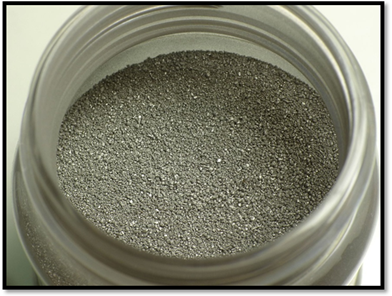 When powdered particles (such as stearic acid, lithium stearate or powdered graphite) are often added to the powdered powder to increase the powder flowability or density, it is necessary to incorporate the powder particles of different sizes to reduce the adhesion between the powders and Reduce the mold wall when the friction resistance, so that the finished product easy to mold release; However, the addition of lubricants, but it will make the product after sintering, prone to hole. The pressurized parts are heated to the appropriate temperature to increase their mechanical strength and hardness of the operation, called sintering. In the process of sintering, the grain interface is first formed, which leads to the recrystallization of the grains. The high temperature increases the plasticity of the surface of the metal and establishes a layer of liquid network to improve the mechanical interlocking properties. The dissolved gases in the metal can also be removed at high temperatures. As for the sintering temperature, it is usually under the melting point of the main constituent metal, and the sintering time is about 20-40 minutes, in addition, the sintering process, in order to avoid the powder and atmospheric contact oxidation, you can use the reduction Sexual airstream or nitrogen to prevent the formation of harmful oxide at high temperatures. Main methods: Oil Impregnation, Infiltration, Sizing and Coining, Heat Treatment, Plating and Machining.